3 Beds 2 Baths 2,114 Sq. ft. Description: Custom home on the golf course. 2,114 sq. 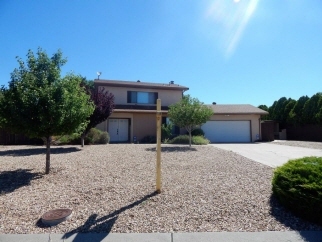 Ft., 3 bedrooms and 1-3/4 baths. Two bedrooms downstairs and master suite is entire second story with balcony overlooking the golf course. Master has large walk-in closet and bath with 2-sink vanity. Large finished & heated sunroom could be den. Covered patio inside courtyard is perfect for relaxing bbq's and entertaining. Gorgeous landscaping with beautiful plantings & fruit trees all on sprinklers & bubblers. Storage shed. 2-car attached, oversize garage plus detached carport for parking another large vehicle. Backyard access. Great opportunity to live on a beautiful golf course for very little money!